The Laparoscopic/Robotic Surgery Fellowship at Wake Forest School of Medicine is a one-year program designed to prepare fellows for a career in robotic urologic surgery, laparoscopic urology and urologic oncology. Fellows will receive certification of advanced clinical training in robotic, laparoscopic and urologic oncology. Fellows participate in a wide range of urologic procedures, from radical prostatectomy and cystectomy to partial nephrectomy and reconstructive procedures. Through treating patients in both clinic and hospital settings, the fellow will gain a comprehensive understanding of the management of general urology and uro-oncologic patients. The fellowship is accredited by the Endourological Society. Wake Forest Baptist Medical Center is a high-volume center and offers the opportunity for significant experience in a wide array of urologic conditions. The urology residency program is one of the leading programs nationwide for index cases in both adult and pediatric urology. The minimally invasive surgery team is made up of experienced experts who have performed many "world firsts" in the field. The department is one of a few in the country using robotic surgery to treat all types of urologic cancer: kidney, bladder and prostate cancer. The fellowship is directed by Dr. Ashok Hemal, director of the department’s minimally invasive surgery program. Dr. Hemal specializes in uro-oncology, robotic and pure laparoscopic surgeries. He is principal or co-investigator on several research projects and is well-known internationally for his pioneering work in minimally invasive surgery. Dr. Hemal has edited several books and more than 350 scientific papers in peer-reviewed journals. He is invited as a visiting professor to deliver lectures and perform live surgeries during major conferences around the world. He has been the recipient of many academic distinctions and awards. 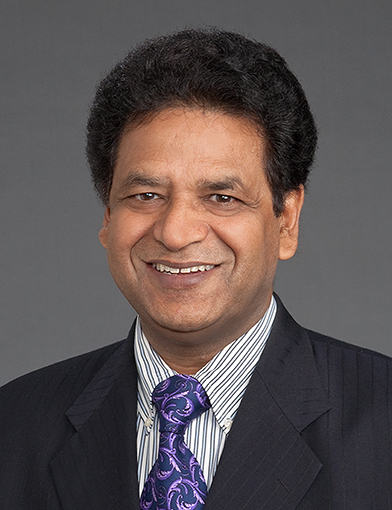 In 2016, he received the Sushruta Award from the Indian American Urological Association. He currently serves as president of the Society of Urologic Robotic Surgeons. The Comprehensive Cancer Center has one of only a handful of Prostate Cancer Centers of Excellence. The research experience will involve either clinical or basic science studies, and the fellow will be involved in the preparation of abstracts and manuscripts for submission and presentation at national or international meetings or both.